All aspects of industrial flooring with a 10 year guarantee. For a FREE site visit and quote enquire on-line or call us. 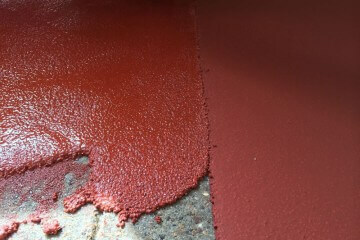 Specialist epoxy resin flooring contractors providing both epoxy and polyurethane systems for all environments. 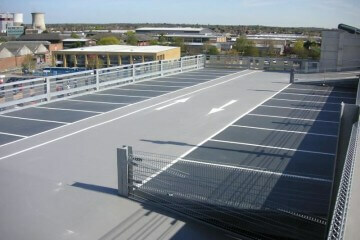 We have successfully completed lots of car park flooring projects, see our case studies to see how we can help you. Unlike most flooring contractors, we provide a turn-key service and can also prepare your floor for the finished coating. We own all our preparation equipment so there's no extra cost for renting. 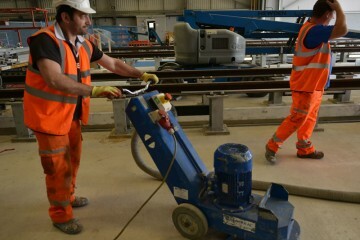 Flowstone Industrial Flooring are specialists in all external flooring from Car Park decking to concrete screeds. Our team have a huge portfolio and experience with all aspects of external contracting. 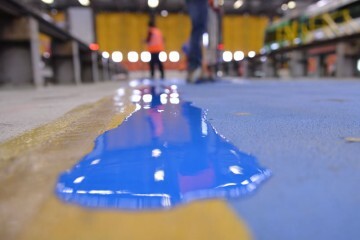 Our contractors will advise you on using the correct floor paint for your industry and help your prepare and install the epoxy or polyurethane paint system thats right for your business and heavy loads that use it. Antibacterial Flooring solutions for food and drink processing..
Not sure which Flooring solution fits you business needs? 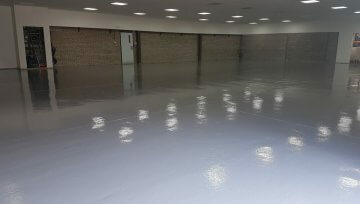 Flowstone UK Industrial Flooring (Ltd) are an independent contractor, supplying and installing a range of high performance epoxy resin and polyurethane floor, wall and flat roof coatings and car park decking systems. 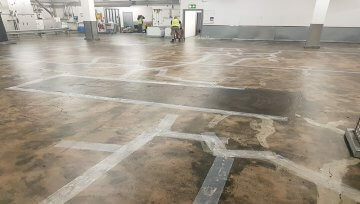 We are approved as industrial flooring contractors by the leading resin manufacturers and with over 45 years of experience, our extensive technical knowledge, backed by our practical experience, provides our clients with a comprehensive one stop service from specification advice to installation.